Tristan WalkerTristan Walker chose Foursquare over Boston Consulting Group. Today, Tristan Walker is one of the most admired people in the technology industry. He made a name for himself growing Foursquare’s business as one of its first employees, and is now the founder and CEO of Walker & Company, an Andreessen Horowitz-backed startup that makes beauty products for people of colour. And he has done all that despite coming from humble origins — a single-parent home inside a Queens, New York public housing complex. But none of Walker’s success in Silicon Valley would have occurred if his wife, Amoy, had gotten her way. According to J.J. McCorvey’s in-depth profile of Tristan Walker for Fast Company, Amoy Walker was perplexed by her husband’s decision to take a sales job at Foursquare instead of a lucrative offer to work at Boston Consulting Group. Given Tristan Walker’s modest upbringing and his status as a minority, Amoy Walker felt he would be better off taking the safe path to financial security offered by an elite consulting firm rather than gambling on a startup that was still in its infancy. 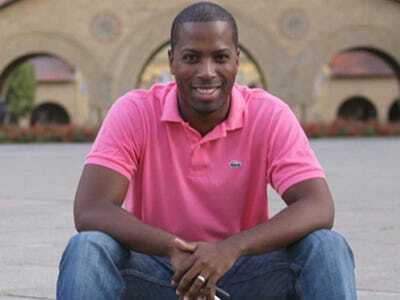 Then a student at Stanford Business School, Tristan Walker would become Foursquare’s head of business development. He excelled in the job by creating business partnerships with top-tier brands like the NBA, Starbucks, and MTV. By the time he was ready to leave in 2012, prominent venture capital firm Andreessen Horowitz offered him a job as its entrepreneur-in-residence. McCorvey’s story also has a number of other fascinating details about Tristan Walker’s experience as a black founder in predominantly white Silicon Valley, including an anecdote about a real estate agent Walker was negotiating with other the phone who automatically assumed he was white.